Welcome to Gerry's Used Cars! We are a true "Buy Here, Pay Here" dealership. Welcome to Gerry's Used Cars, we are a true Buy Here Pay Here, specializing in in-house financing. We are family owned and operated, having been in business for almost 30 years, founded by Gerry and Barbara Marshall, now owned and operated by their oldest daughter Cheryl and her husband Kim who look forward to serving your needs for many years to come. With 4 locations serving your needs Corinna, Oakland, Skowhegan and Veazie. We specialize in serving people, no matter your credit at any one of our 4 convenient locations. 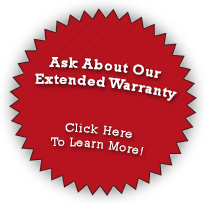 In addition to our excellent selection of used vehicles, we offer an optional in-house extended power-train warranty to protect your investment and give you peace of mind. Stop in at any one of our 4 locations, together we can help you get into a reliable car, truck, suv, crossover, or van you can afford. Maine Used Car Dealership Servicing Central Maine!